In recent years, there’s been plenty of conversation about there being a talent shortage in supply chain management, which has prompted companies to focus more attention on their recruitment, training, and retention practices. But here’s a question many supply chain executives still struggle to answer: how do we get all of our employees to care about our customers and how we affect our suppliers, the communities we work in, the environment, and so on versus just coming in to get a job done and cash a paycheck? 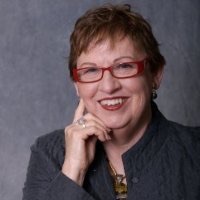 In this episode, noted author, speaker and consultant Carol Sanford addresses that important question, while sharing insights and best practices from her work with successful companies such as Google, DuPont, Intel, and P&G, as well as her highly-praised books, The Responsible Business and The Responsible Entrepreneur, which are required reading at leading business schools including Harvard, Stanford, Haas Berkeley and MIT. After watching, post a question or comment for Carol and keep the conversation going!